Does something just feel off about your B2B copywriter's writing? It might not be quite where it needs to be, but you can't put your finger on why? Don't worry! 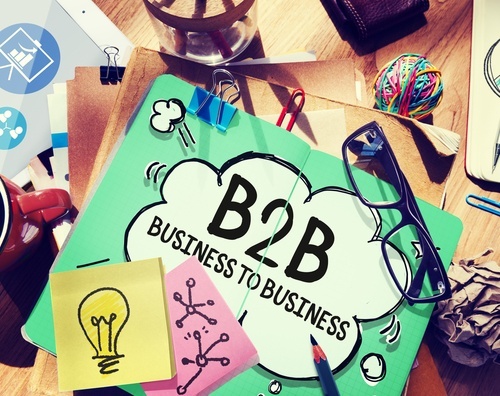 We've got some killer tips to help you get more out of your agency's B2B copywriting. This is one of the hardest things to remember when writing B2B copy. After all, you're writing about a business, right? Wrong. You should be writing about what the business can do for its clients. You want to stress the personal benefits that will be gained from using their services first. Consider pointing out how much time can be saved by choosing your client. Then point out the business benefits. By doing this, you can make sure that people are thinking about your client's company in positive ways from the start. One of the major reasons B2B copywriters produce mediocre copy is simply because they don't know what you're trying to get out of it. That's #1. Make sure that right off the bat, before a single word is written, the B2B copywriter knows what the goal of the B2B copywriting is. Secondly, make sure that the copywriter knows what you want the reader to get out of it. And finally, you want to make sure that your copywriter knows what action you want the reader to take. By telling them these three things, they can fine-tune their B2B copywriting to achieve these goals. After all, if you don't communicate it to them, how are they supposed to know? One of the biggest mistakes any copywriter can make is rambling on a bit too long, especially in introductions and conclusions. An almost foolproof method to making sure that they don't is simply asking for fewer words, but just as much content. By doing this, you can make sure they trim the introduction and conclusion so that they can get everything else in. Basically, they'll be forced to get to the point in their B2B copywriting. There are situations where this won't work, so it's important to ask for revisions as needed. You may also sometimes run into situations where you need to extend the word limit based on the content. But if your B2B copywriter knows that less is expected, not more, they'll give you exactly what you ask for. Does your client have any data or numbers backing up their claims? Then provide them to your B2B copywriter. It takes time to do research, and if the client can already prove their superiority, it's a waste of everyone's time not to just hand it over. In B2B copywriting, this kind of proof is especially important. One of the hardest things about working in a new industry is picking up all the jargon. And that's a major part of writing compelling B2B copy. Unfortunately, most writers don't know the industry inside and out when they start, and it can be difficult to find a writer who's especially qualified. One of the best things you can do is simply give your writer a bit of time so that they can do the research and work they need to sound like an industry expert. Perhaps one of the most important things to remember is that you're working with a person, and people aren't always going to provide exactly what you're looking for. However, with communication and work, you will find that your agency provides much better B2B writing for your clients. It's a give and take: you can't expect to give vague instructions and come back with anything but mediocre work. To learn more about hiring a top B2B copywriting expert, check out our white paper, "Content Writing Outsourcing vs. In-House Writers."